D.M. Rao | I.K International Publishing House Pvt. Ltd.
D. Muralidhara Rao is Assistant Professor, Department of Biotechnology, Sri Krishnadevaraya University Anantapur, A.P, India and Co-ordinator for B.Tech Biotechnology programme of SKU college of Engg. & Technology. Dr. Rao is member Board of Studies in Jawaharlal Nehru Technological University, Anantapur. He has obtained M.Sc from Sri Venkateswara University, Tirupati, (1994), M. Phil. (1999) and Ph.D degrees (2001) from Sri Krishnadevaraya University, Anantapur and has worked as Senior Research Fellow in Department of Science and Technology Government of India funded project for a period of two years. Dr.Rao qualified National Eligibility Test Conducted by UGC. Dr. Rao has published one book and fifty research articles both in Indian and Foreign journals. He is also recipient of Young Scientist award at International level. Dr. Rao is also Editorial Board member and reviewer for several National and International Journals. Dr. Rao honored with visiting Scientist award by Jawaharlal Nehru center for advanced scientific research, Bangalore. 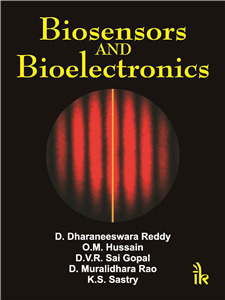 Dr. Rao is Fellow of Society of Biotechnology and Bioinformatics and Life member of BRSI. Dr. Rao guided many M.Tech, B.Tech and M.Sc., biotechnology candidates for their project work. His current areas of interest are Bioprocess technology and DNA finger printing. At present is handling two Major research project funded by UGC and CSIR. Dr. Rao is Editorial Board member in Journal of Phytopharmacotheraphy and Natural products, International Research Journal of plant Sciences, and Science Advisory Board, United Kingdom.